Here I offer automotive diagnostic training with an emphasis on engine performance, computer controls and electrical systems troubleshooting. 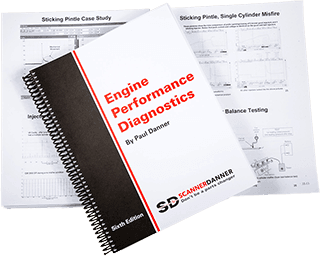 I am an ASE L1 certified Master Technician with 25+ years of experience in the field and 17+ years teaching at Rosedale Technical College in Pittsburgh, Pa. My specialty is engine performance diagnostics, and I have written a text book that I use for my students. It is meant to be a field manual, one that they will actually take with them when they finish school. It is full of diagnostic strategies and testing procedures. This book is available to the public as an eBook or paper book at www.scannerdanner.com/buy-the-book. In addition, I also offer a library of video resources, showing how to perform the diagnostic techniques taught both in my book and in my class. Both my free channel (ScannerDanner on YouTube), and my paid subscription channel (ScannerDanner Premium) have coordinated playlists that match the chapters in my book and the flow of my class.